The Proud Sow is a historic local butchers based in Crofton Park. Having been operating as a butchers since 1908, it is one of South-East London's oldest Butchers. The 4th and current stewards of the shop are Oliver Khaldi and his team. Oli's passion for food and butchery goes back a long way and his career has given him experience both in the art of butchery and business. The Proud Sow's principles build upon the foundations that the previous owner left behind - namely high quality, traceable English meat coupled with great service! 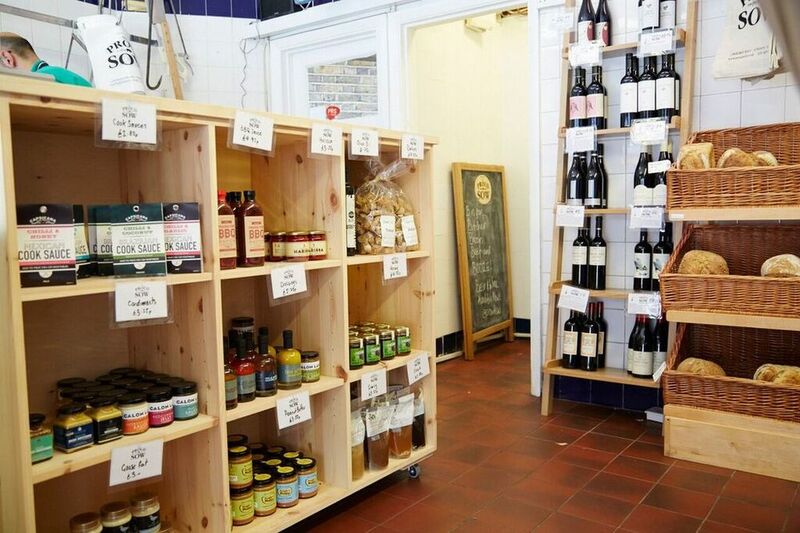 Now selling more than meat, the Proud Sow also offers a range of wines, local beer, bread and a cooks larder to help make it a convenient one stop shop! As a local business they strive to operate with friendliness and reliability. The support of the local community is essential, and they aim to build a good rapport with their loyal customers.